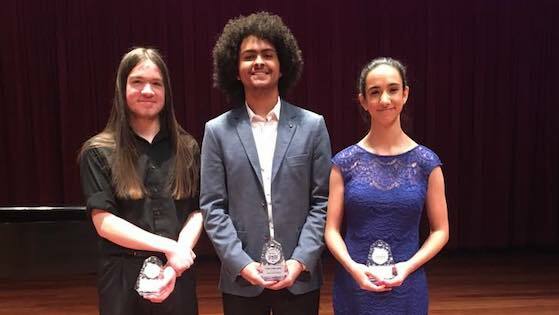 February 2, 2019, 8:23 PM · Congratulations to cellist Sterling Elliott, who has won First Place in the Senior Division of the 2019 Sphinx Competition! 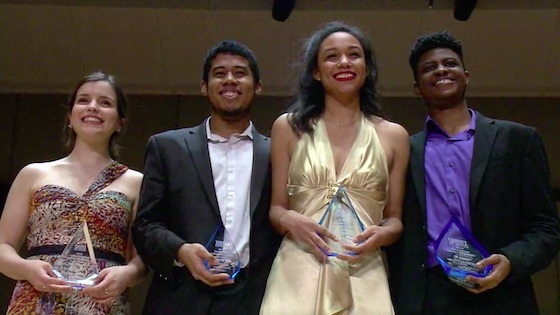 The Sphinx Competition is open to all junior high, high school, and college-age Black and Latino string players residing in the United States. Jury members for 2019 were Jenny Bilfield, Kelly Hall-Tompkins, Patrice Jackson, Ani Kavafian, Edicson Ruiz, Steven Tenenbom and Jeff Zeigler. Winners were announced Saturday after the Finals Concert, which took place in Detroit's Orchestra Hall with Senior Division finalists performing with the Sphinx Symphony Orchestra. Click here to view the Finals Concert. Sphinx Competition 2019 Senior Division Finalists. Sphinx Competition 2019 Junior Division Laureates. February 3, 2019 at 07:23 PM · It's just wonderful to learn about these talented, beautiful young people. Thank you Laurie for reporting this story.